The combination of improved digital tracking along the food supply chain, as well as fast, accurate DNA testing will provide modern, state-of-the-art tools essential to guarantee accurate labeling for the ever-increasing quantities of foods and ingredients shipped globally. The sheer scale of the international food supply chain creates opportunities for unscrupulous parties to substitute cheaper products with false labels. We know fraud is obviously a part of the problem. Some suppliers and distributors engage in economically motivated substitution. That is certain. It’s equally true, however, that some seafood misidentification is inadvertent. In fact, some species identification challenges are inevitable, particularly at the end of the chain after processing. We believe most providers want to act in an ethical manner. 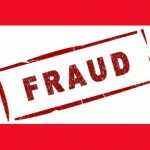 Virtually all seafood fraud involves the falsification or manipulation of documents created to guarantee that the label on the outside of the box matches the seafood on the inside. Unfortunately, the documents are too often vague, misleading or deliberately fraudulent. Oceana, an international non-profit focused solely on protecting oceans and ocean resources, has published extensively on seafood fraud and continues to educate the public and government through science-based campaigns. 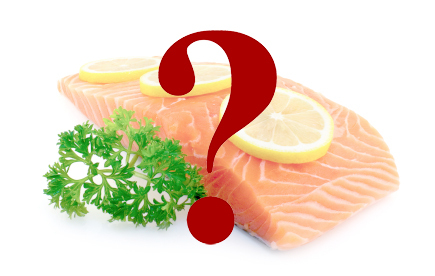 Strategic collaborations can help industry respond to broad challenges such as seafood fraud. We partner with the University of Guelph to develop DNA-based tests for quick and accurate species identification. The accuracy and portability produced by this partnership allow companies to deploy tests conveniently at many points in the supply chain and get accurate species identification results in hours. Our new collaboration with SAP, the largest global enterprise digital partner in the world, will help ensure that test results can be integrated with a company’s supply chain data for instant visibility and action throughout the enterprise. In fact, SAP provides enterprise-level software to customers who distribute 78% of the world’s food and accordingly its supply chain validation features have earned global acceptance. The food fraud and safety digital tracking innovations being developed by SAP will be critical in attacking fraud. Linking paper documents with definitive test results at all points in the supply chain is no longer a realistic solution. Paper trails in use today do not go far enough. Product volume has rendered paper unworkable. Frustrated retailers voice concerns that their customers believe they are doing more testing and validation than they can actually undertake. We must generate more reliable data and make it available everywhere in seconds in order to protect and strengthen the global seafood supply chain. Catfish will become the first seafood species to be covered by United States regulations as a result of recent Congressional legislation. This change will immediately challenge the capability of supply chain accuracy. Catfish are but one species among thousands. Increasingly, researchers and academics in the food industry recognize fast and reliable in-house and on-site testing as the most effective method to resolve the challenges of seafood authentication. DNA-based analyses have proven repeatedly to be the most effective process to ensure accurate species identification across all food products. Unfortunately, verifying a species using DNA sequencing techniques typically takes one to two weeks to go from sample to result. With many products, and especially with seafood, speed on the production line is essential. In many cases, waiting two weeks for results is just not an acceptable solution. Furthermore, “dipstick” or lateral-flow tests may work on unprocessed food at the species level, however, DNA testing provides the only accurate test method to differentiate species and sub-species in both raw and processed foods. Polymerase chain reaction (PCR), which analyzes the sample DNA, can provide accurate results in two to three hours, which in turn enhances the confidence of producers, wholesalers and retailers in the products they sell and minimizes their risk of recalls and brand damage. New technology eliminates multi-day delays for test results that slow down the process unnecessarily. Traditional testing options require sending samples to commercial laboratories that usually require weeks to return results. These delays can be expensive and cumbersome. Worse, they may prevent fast, accurate testing to monitor problems before they reach a retail environment, where brand and reputational risk are higher. Rapid DNA-based testing conducted in-house and supported by sophisticated digital tracking technologies will improve seafood identification with the seafood supply chain. This technological combination will improve our global food chain and allow us to do business with safety and confidence in the accuracy and reliability of seafood shipments. Part II of a discussion on preventing food fraud looks at proactive measures that companies can take. PwC and SSAFE are offering the food industry a free tool to combat fraud globally. The tests can positively identify salmon species in less than two hours. Steven Guterman became the CEO of InstantLabs in February 2012 after serving as chief financial officer. He has forged new development partnerships to promote DNA-based species ID testing and address seafood fraud across the supply line. Before assuming the leadership role at InstantLabs, Guterman was a senior Wall Street executive. From 2001 to 2009, Guterman was the senior managing director responsible for AIG Investments’ Global Business Development team. He can be reached at 855-800-7086; info@instantlabs.com. 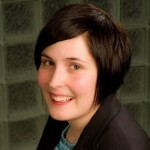 Sarah McMullin is a director for emerging technologies at SAP Waterloo. Working for a big company does not stop her from running simple like a startup. McMullin is a successful creator of applications that create new markets and junior honey badgers. She is fascinated by biogenomics and food fraud. 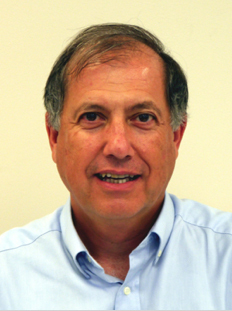 Steve Phelan has worked developing new software for consumer products companies for several decades, mostly around new product development and product safety. His background is primarily with small- to mid-size companies, with two successful start-ups to his name. SAP gives him a whole new perspective on the world. He can be reached at 845-855-9647.